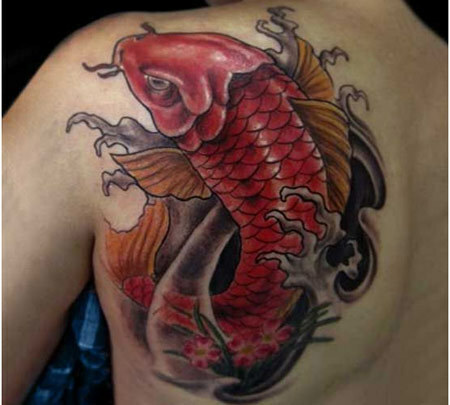 Koi fish is a decorative carp and has a very long history in the Japanese culture. 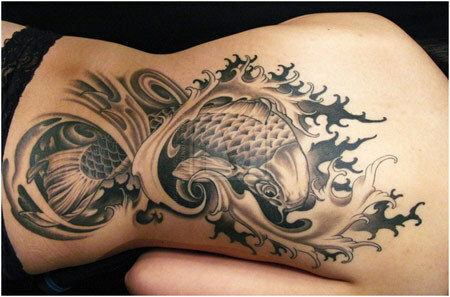 The Koi fish is a very strong symbol with extremely deep meaning for those who choose it as part of their body art. They are mostly seen in water ponds, gardens, with blooms of flowers there. 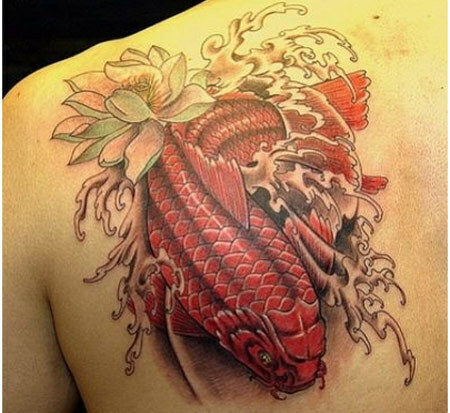 While choosing a design, make sure that your Koi fish tattoo conveys the meaning that you want to exhibit. Kois are differentiated by the way of scaling, colors, patterns on their bodies and more. 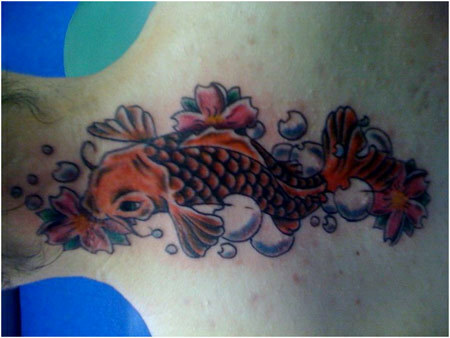 Here I am listing a few wonderful koi tattoos. Look through the list and select! 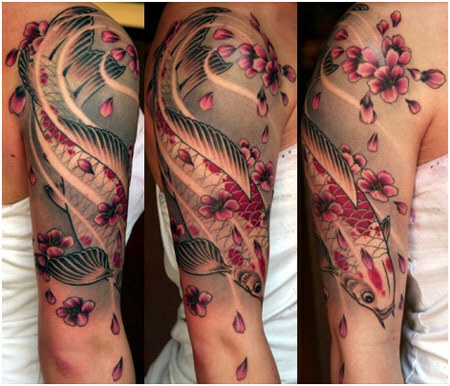 This tattoo is such a lovely adaption of koi fish with pink flowers, falling petals, the greens and the scales. It couldn’t get any more beautiful. This mean looking koi fish looks little bit different from others. Very fun! The lovely combination of red and the orange colors make it attractive. You can also spot little pink flowers with green leaves at the base. Here is a huge multi-colored koi fish with colors like green, yellow, pink, blue and black. You name it and that color is here. 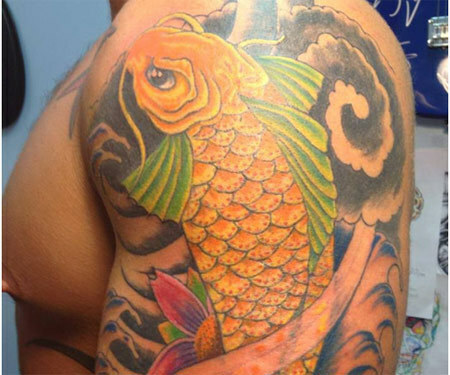 Majestic and big, this koi tattoo will make many heads turn. 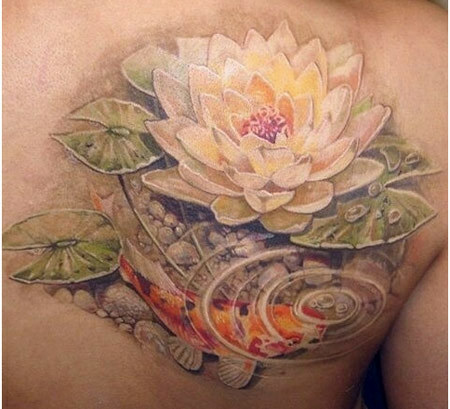 This tattoo depicts a peaceful look and the koi fish beneath the lotus flower makes the tattoo look awesome. This tattoo is one of a kind. Isn’t it? Moreover, the leaves are also inked beautifully. 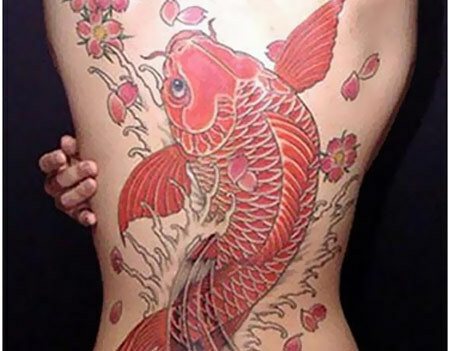 Yet another huge koi tattoo, this one covers almost whole back. The black and grey colors make a lovely gradient. The detailing around the koi is very interesting. How would you like a koi that looks like a heart at the first sight? Yes, it looks superb doesn’t it? With a fierce look on the face, the fish seems to have some serious intentions. 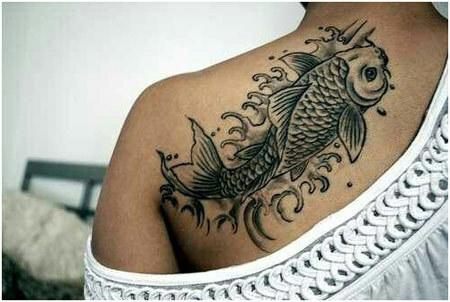 Cutest koi on the block, this mermaid like cutie is an awesome idea for tattoo right? I love the way the red, blue and the black outlines are enhancing its look. It looks so amazing. What do you see? A koi or a flower? 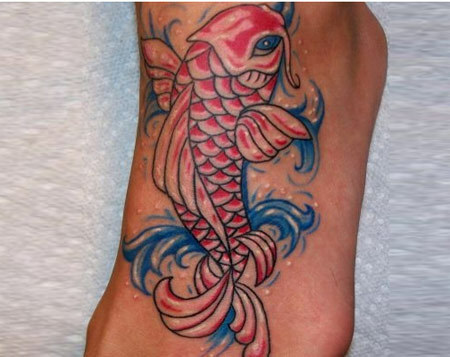 This is definitely one of my favorites in koi tattoos. The black color used in various gradients makes it so lovely. 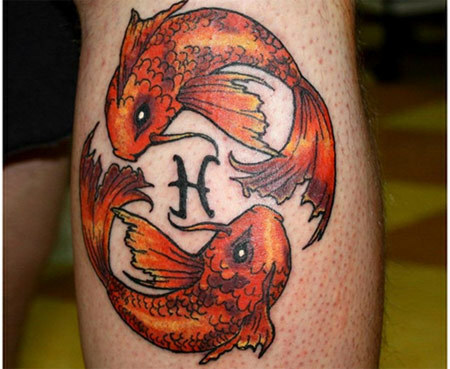 This is one of the best koi tattoos. It is just so super ethereal and awesome. 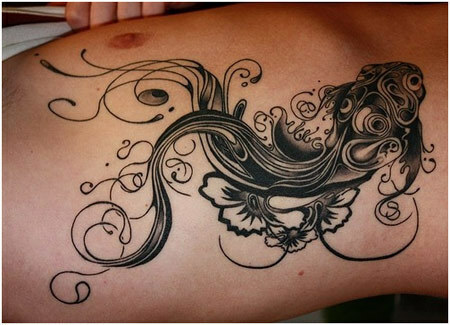 Amazing art with wonderful detailing, this is what body art should look like. An orange koi with pretty flowers around is a lovely sight! I love how playful the koi looks, like it’s going to jump out any moment. Plus the flowers have a good detailing around with orange and purple colors. You see here a tumbled koi? Yes, this one makes you want to tilt your head and look. The detailing is lovely. This tattoo definitely makes it to the list with its amazing scaling work. A koi couple here stands out unique with its beautiful bright color. The colors are wonderful with just the perfect blend of red and orange colors. The scales look amazing. Now this one is sassy, isn’t it? The shades of orange here and there make it super amazing and pretty. Love the way the coloring of the tattoo has been done. 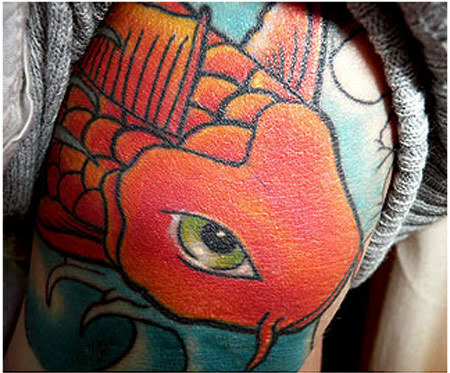 This kissing koi is one colorful tattoo. The flower looks precious and fun. I like the way the flowers and water bubbles are so together. 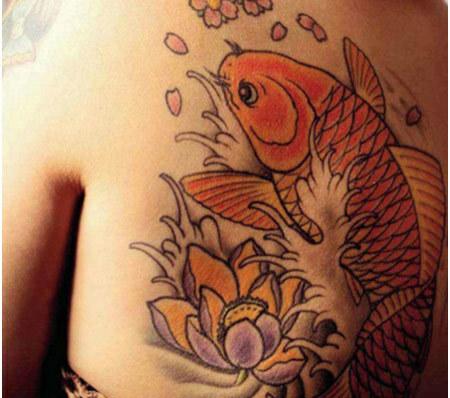 This colorful tattoo is one of the most feminine koi tattoos. 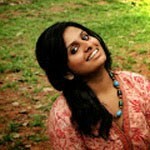 The bright colors help in enhancing its beauty. Super fun! 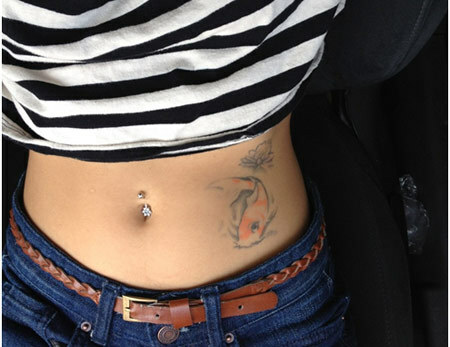 These are my top 15 koi fish tattoos. Which is your favorite? Shoot a comment and let me know! ‘Tattoos For All’ is all you need to fix on the best tattoo ideas you can find.